I recently finished this lovely French Braid quilt. This was pieced by another Joy, and I love how this turned out. It sat on my frame for almost an entire week while I tried to find time to figure out what to do with it. I finally just did beadboard in the outer border and focused on making the braids pop. 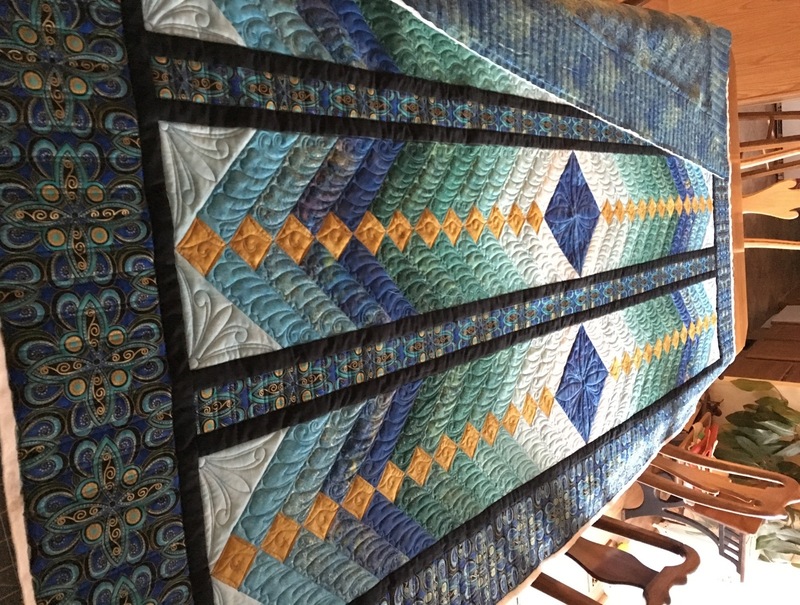 I used a design present in the border fabric to make the motif at the center and corners of the braid panels. 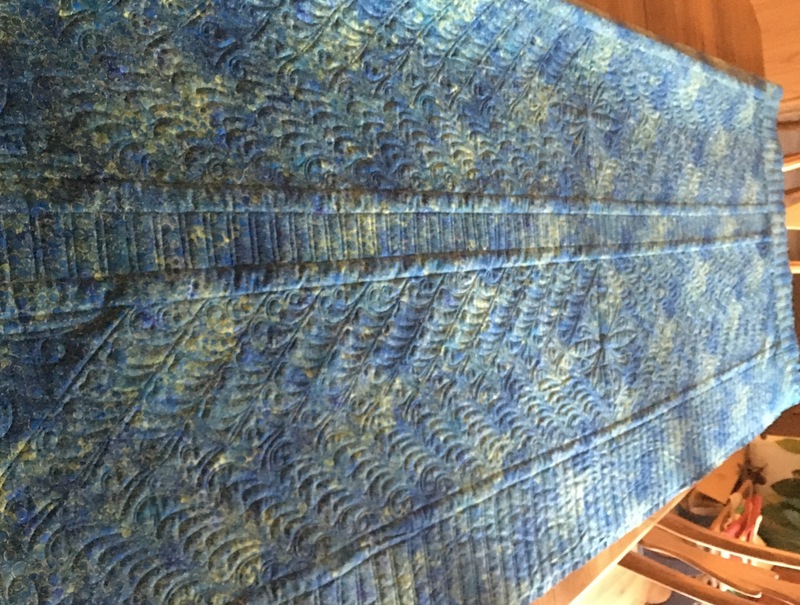 I used Superior Twist thread on top and Bottom Line on bottom. I am finding it hard to schedule quilting time right now. A lot of you know that my parents’ home burned down on Jan. 21. They had lived there since 1968 and it has been pretty traumatic for everyone. We are making progress in the rebuilding process and other associated tasks; but I’m really feeling the interruptions. 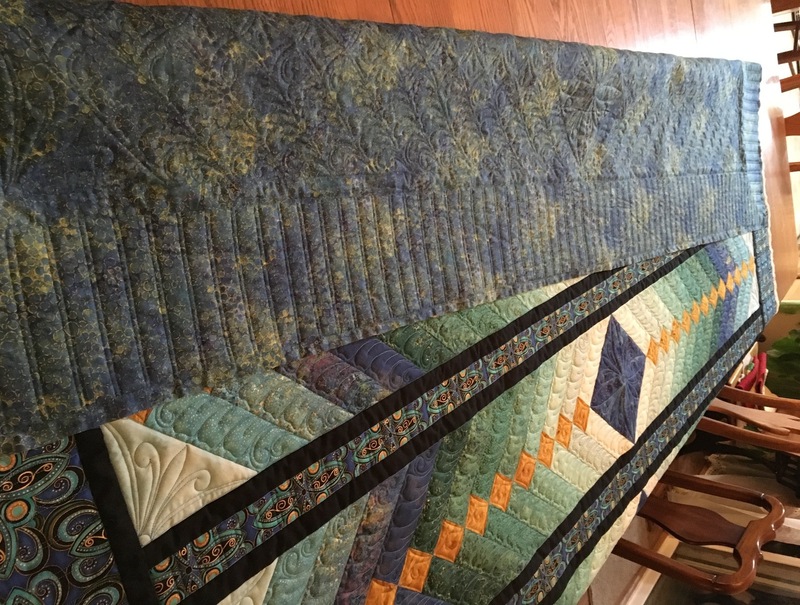 The Bali Wedding Star that I finished a couple of weeks ago was probably the first one that I felt I was out of tune with the quilt. 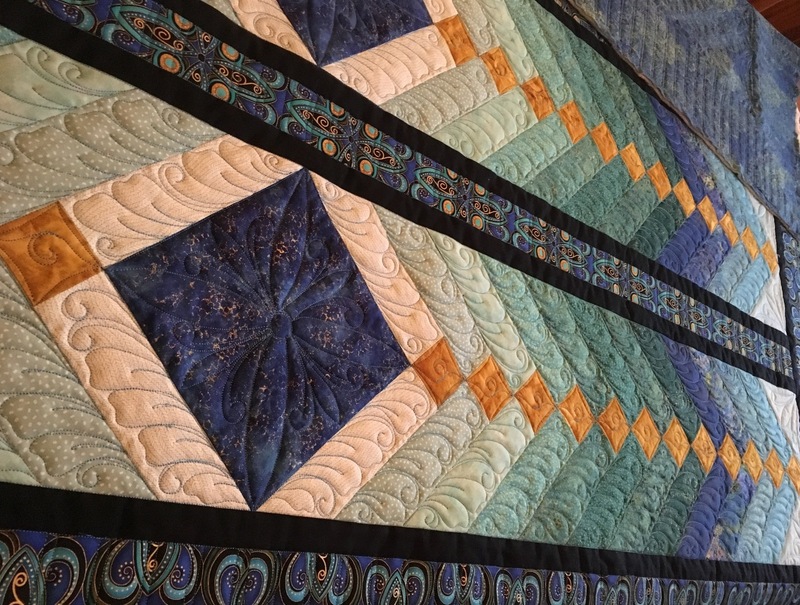 Finding time to quilt is an issue right now; but creating the quilting design has proven to be more difficult. My mind needs to be in “speak” with the quilt and I’m extremely distracted right now. I’m thankful to have some wonderful clients who can allow me time to recover from the stress. That said, I have TWO quilts that need to get done in the next month and THREE more that need to be done in the following month; and I have to travel for work in a few weeks also. PLUS, I was contacted yesterday by the owner of a quilting book company who wants me to quilt her quilt designs. OMG. I’m looking forward to fall when things should be calmed down. LOL.